Remember days past when carefully protected those magnetic strips on the backs of our credit cards? We’d already learned a scratched CD could ruin our music and a scratched magnetic strip could result in an embarrassing moment as we tried to check out of the grocery store. As the years passed, our fears moved from damaging the card to thieves stealing the cards and then damaging our credit ratings. Now, though, Europe has had enough and is the driving force behind big changes in American credit cards. For more than five years, European banks have incorporated microchips into their credit cards. They’re safer and significantly lower the fraud risks associated with traditional magnetic strips. The only reason it hasn’t left the strip behind in its entirety is because Americans and American banks haven’t caught up to this safer technology. Until now. The European Payments Council is now restricting the use magnetic strips to the extent of refusing them unless “extraordinary circumstances” warrant them. Further, it’s given banks the luxury of refusing cards with the magnetic strips if they choose to do so. So what’s the U.S. to do? After all, for nearly half a century, the strip was king. There’s only one thing to do: bid adieu and welcome the new technology. The European council cites many instances of widespread fraud, including the Heartland Payment Systems fiasco. 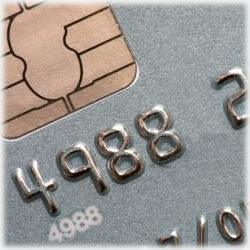 In 2009, criminals were able to steal millions of credit card numbers from the payments processing company. The damage was unprecedented and folks around the world scrambled to understand how their information was left vulnerable. Those European cardholders who were in the U.S. at that time and had used their credit cards jeopardized the new system in its entirety. That new system, by the way, is described as a “mega million dollar investment.” Financial gurus on both sides say the time is come to close those loops. Some analysts in the credit card technology field are saying the U.S. isn’t likely to act on orders because another country demands it. In fact, at least one banking official predicts Americans will soon be enjoying credit card security that even bypasses the tough European safety efforts. One reason this might be a realistic assumption is the lack of interest in the Blue Sky American Express Card. It was heavily advertised and “the” credit card to own as 2000 rolled in. Unfortunately, the timing was bad and many people missed the bullet point of it being safer. Consumers didn’t quite make the connection with the new technology sell attempt. Besides, advertising was targeted to the most wealthy and it wasn’t necessarily on everyone’s radar. Add tough economic times that were just beginning to churn by the time 2000 come to a close and it was the perfect combination for the card to not do as well as investors had hoped. Ultimately, and regardless of whether the U.S. adopts Europe’s chip and PIN technology or if it chooses to take the route of the Near Field Communication chip (already touted as even better than what Europe consumers are using), it will ultimately mean a much safer credit card for American consumers. No one can argue the logic of that. A word of caution, however. If you’re planning to travel in Europe, be warned that you might run into problems when trying to use your traditional credit card. There are no longer any safety mechanisms in place that would ensure you can use your magnetic stripe credit card easily. The same holds true for those European visitors in the U.S. Their technology may not be met with the resources that allows tourists to use their credit cards. In the whole scheme of things, it’s a glitch. But it’s in everyone’s best interest to get on the same technology page – the sooner, the better, especially since the end result is the same, regardless of where you call home. It’s all about protecting the consumer.